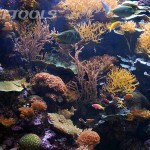 My husband and I went to Chicago this summer to visit the John G. Shedd Aquarium. 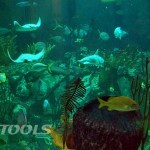 We were given a private tour and got to see some really awesome behind the scenes stuff. 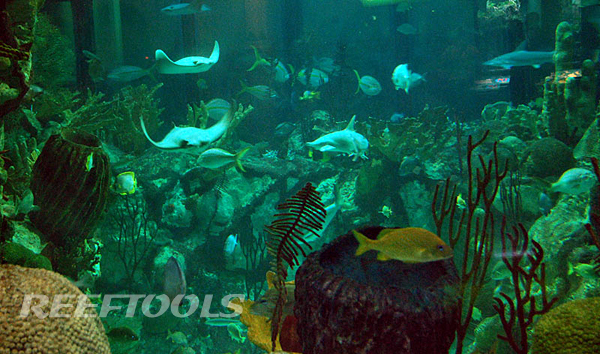 Next time you plan to visit the Shedd Aquarium, call ahead to ask about the behind-the-scenes-tour or one of their other experiences. 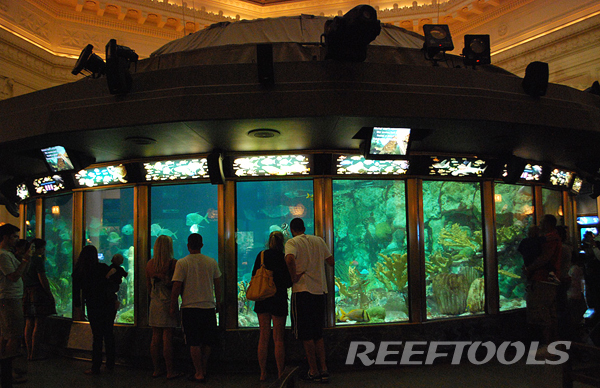 The giant cylindrical Caribbean Reef exhibit is the first you see when you enter the building. 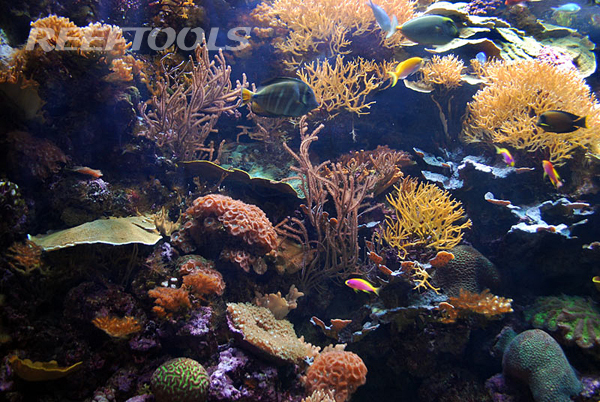 It houses many large Caribbean fish such as tangs, sharks, porkfish, parrotfish, wrasses, turtles, and a school of Lookdowns. 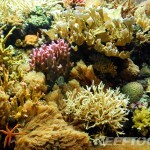 I think I spent most of my time in the coral quarantine room. 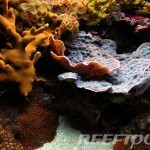 They had a fine collection of neon colored Fungiid corals and some of the biggest and brightest LPS I’ve ever seen. 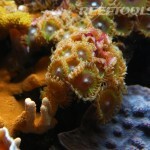 I was totally blown away by a group of gorgeous Tridacna crocea clams soon to be on display. 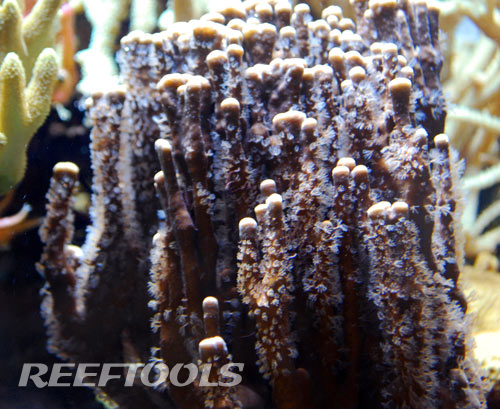 Among the coral frags were spawn collected Caribbean Acropora palmata corals from Ken Nedimeyer of The Coral Restoration Foundation. 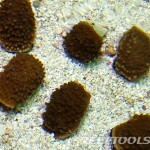 Like all Caribbean stony corals, A. plamata is illegal to collect for the aquarium hobby, which is why I’ve never seen one in person. 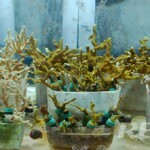 The larger pieces pictured here are about two years old. 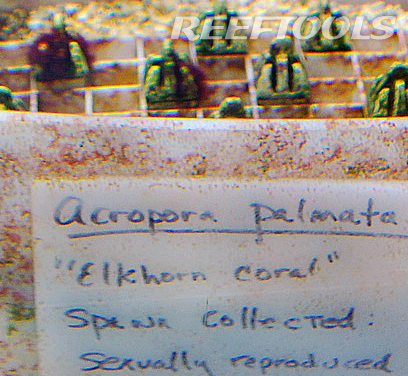 I mentioned to the coral caretaker that it’s too bad A. palmata isn’t more colorful, but at least some of the newer, smaller pieces had green or purple colored polyps. 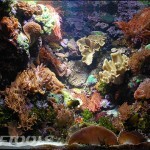 She said that A. palmata doesn’t have colored polyps in the wild, but after DNA analysis of the symbiotic Zooxanthellae algae, they found that the sexually reproduced A. palmata were adopting Zooxanthellae from the Pacific-collected species of coral that shared their waters in the Shedd’s displays. 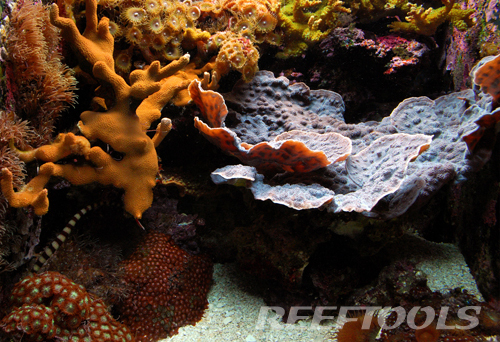 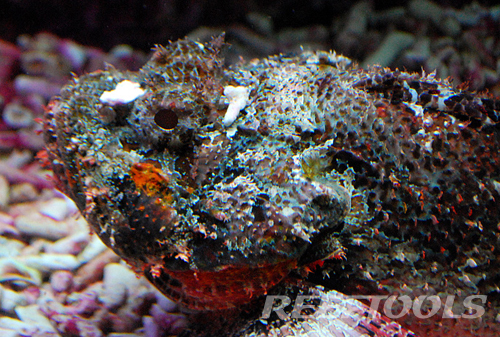 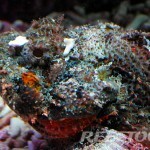 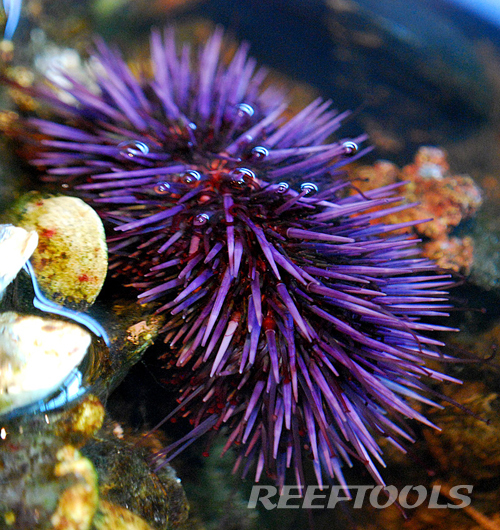 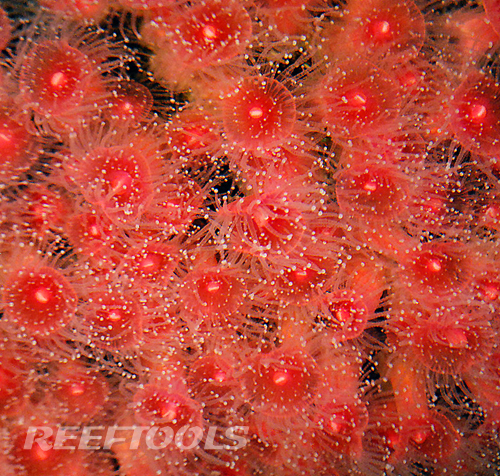 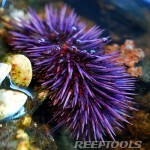 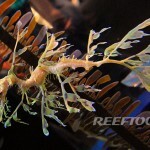 That is what is giving the polyps of the small A. palmata pictured above their purple color. 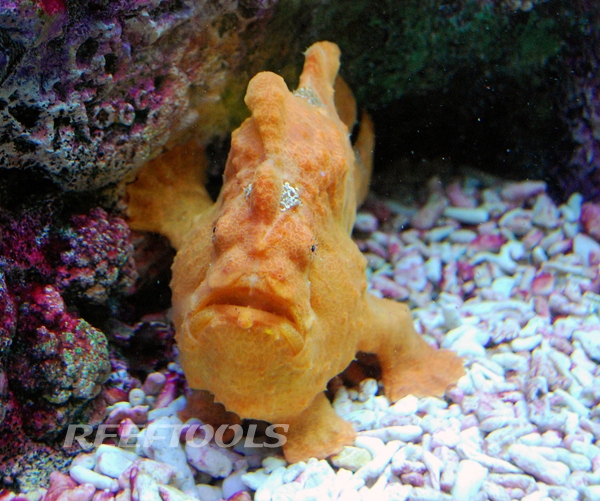 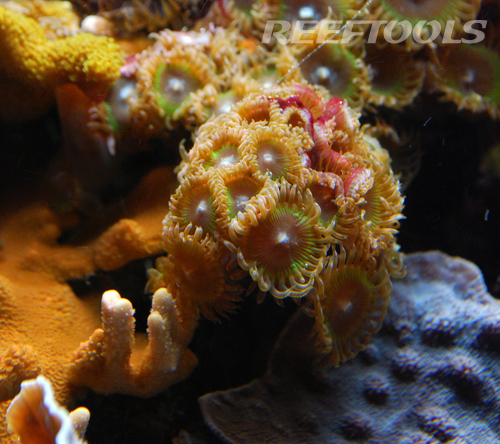 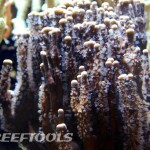 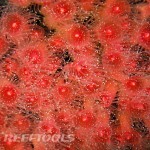 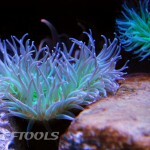 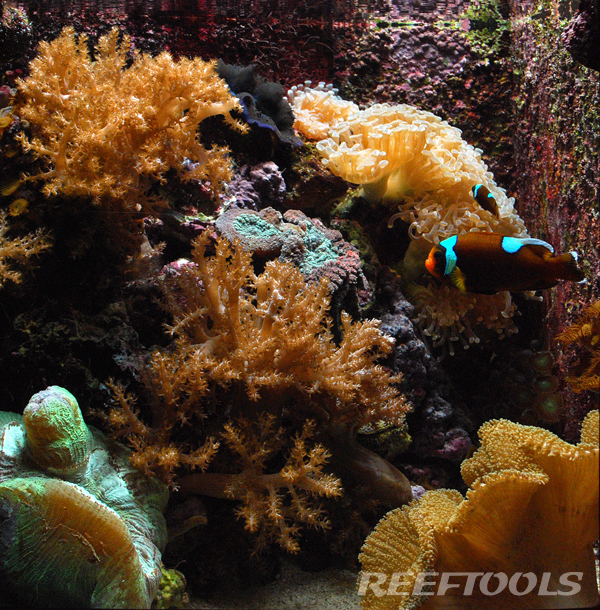 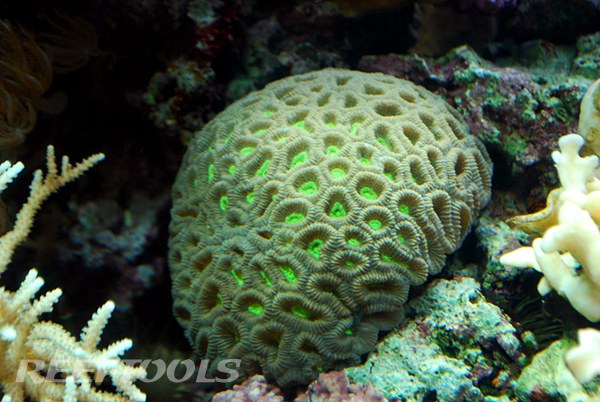 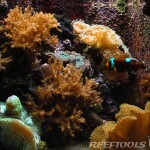 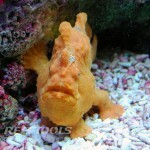 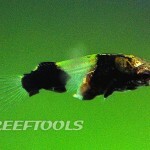 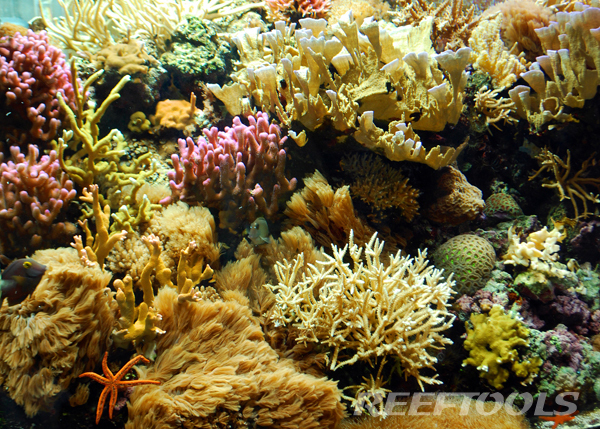 It also makes the corals hardier and more resistant to stress. 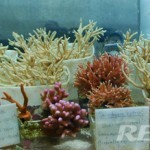 Most public aquariums traditionally had only fake corals in their displays so they could treat the displays with copper and because live coral was too difficult to keep. 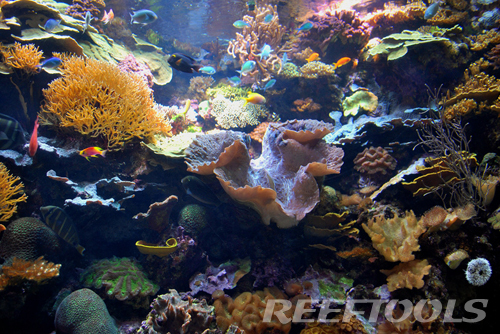 The Shedd has an exhibit called the Wild Reef, a giant room downstairs with wall-to-wall reef tanks and live coral everywhere! 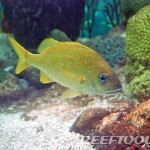 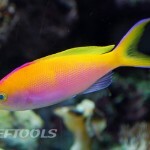 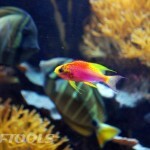 I was also really impressed with the Shedd’s collection of Anthias. 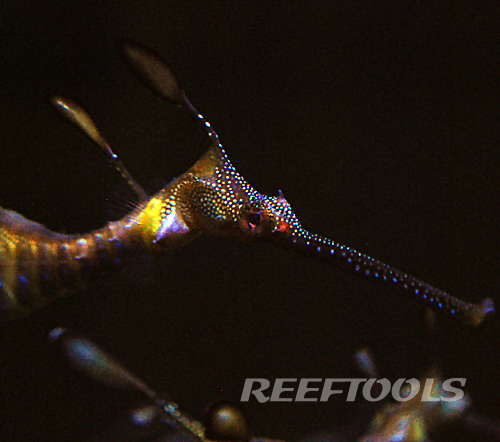 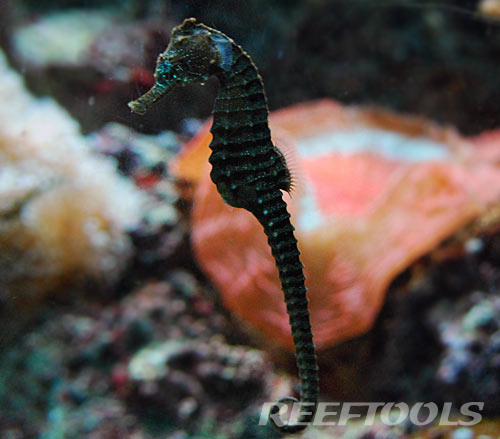 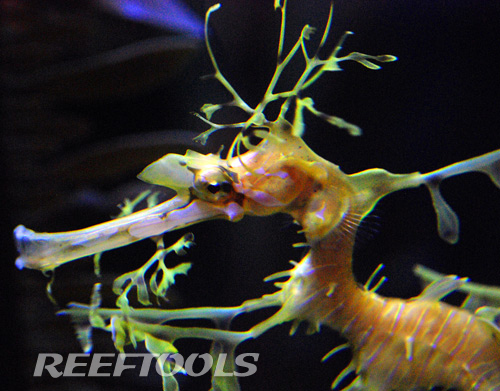 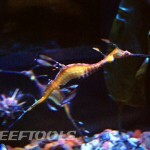 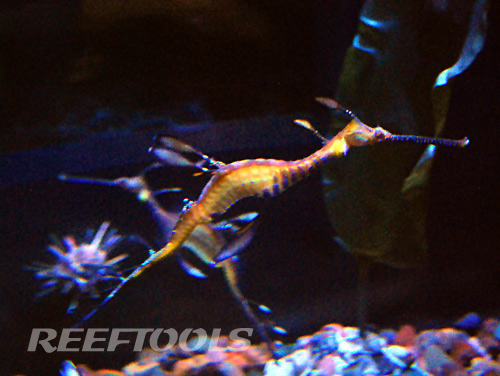 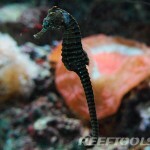 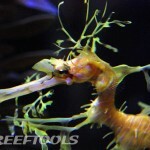 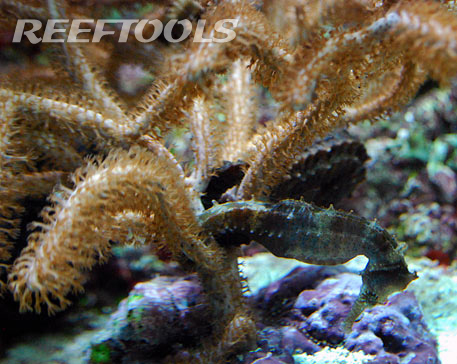 The Shedd has a few different species of seahorses–Hippocampus reidi, H. kuda, H. erectus, and H. comes. 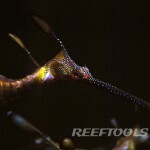 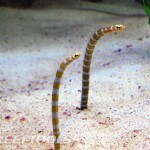 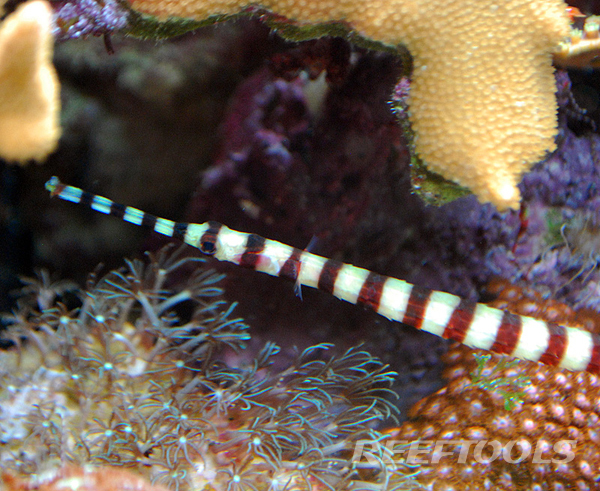 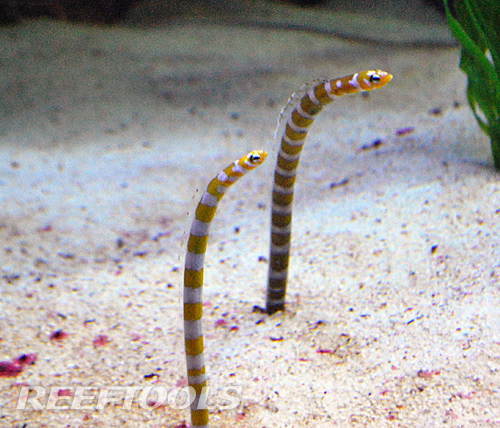 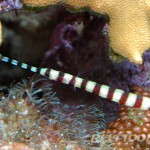 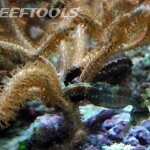 They also had a few other Syngnathids like flagtail pipefish and trumpetfish in the reef tanks. 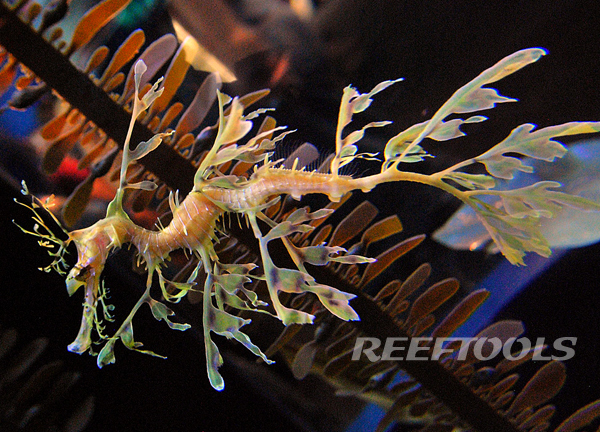 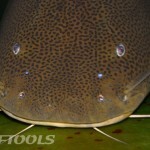 One of the other guests at the aquarium was using his camera’s flash to photograph these sensitive animals. 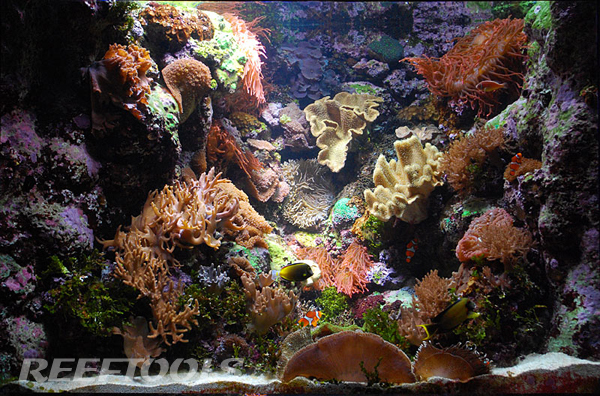 There is a large sign next to the tank that says, “NO FLASH PHOTOGRAPHY.” I pointed at the sign and said, literally, “You’re not supposed to use your flash on these. 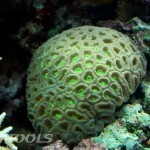 It kills them.” He glared at me and continued to use his flash. 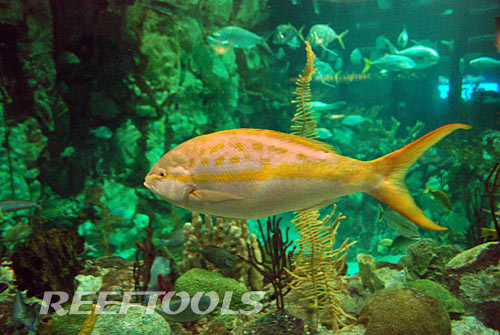 It’s okay to use flash when photographing aquariums occasionally, but the Shedd has guests constantly photographing the displays. 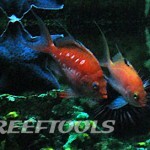 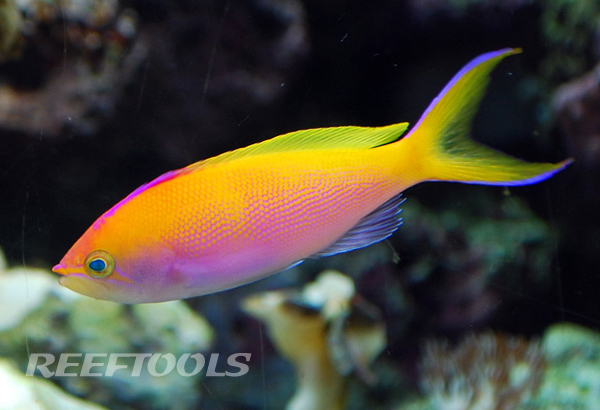 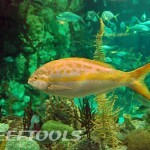 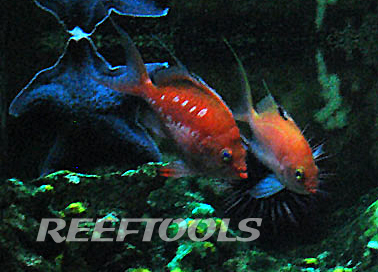 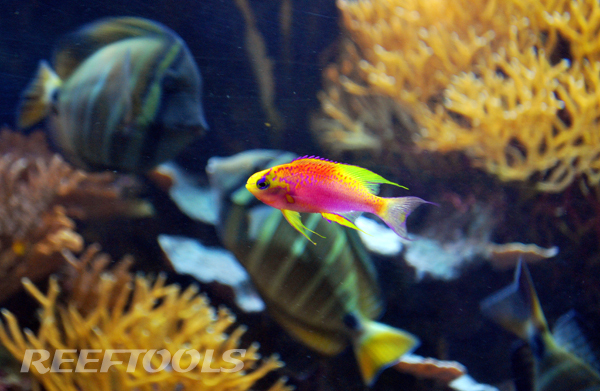 Some sensitive species such as certain Anthias, deepwater fish, or Sea Dragons should never be photographed with flash. 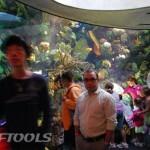 This is why I didn’t use my flash at all at the Shedd. 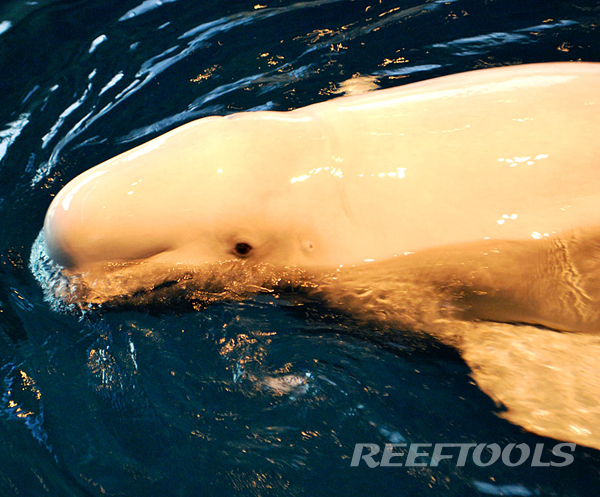 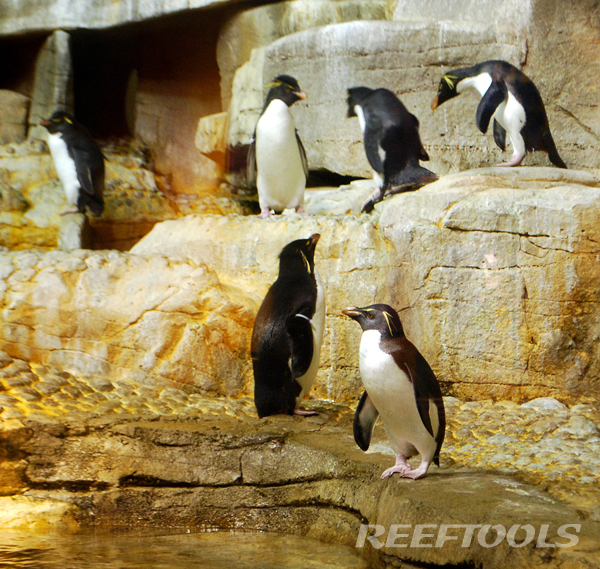 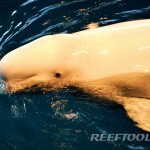 There are many kid-friendly exhibits and shows like Fantasea with Beluga Whales, penguins, and dolphins, etc. 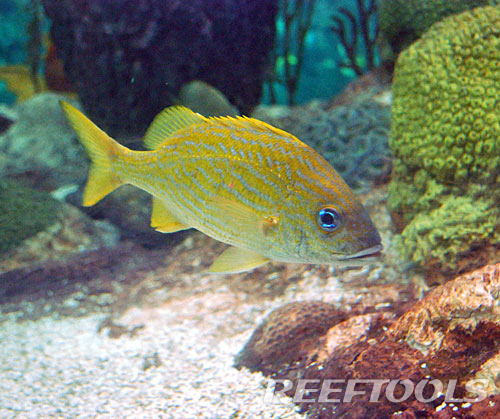 Your kids will get a kick out of reef predators like the Anglers, Stonefish, and Lionfish during feeding time when a caretaker wiggles food on a stick in front of the fishes’ faces. 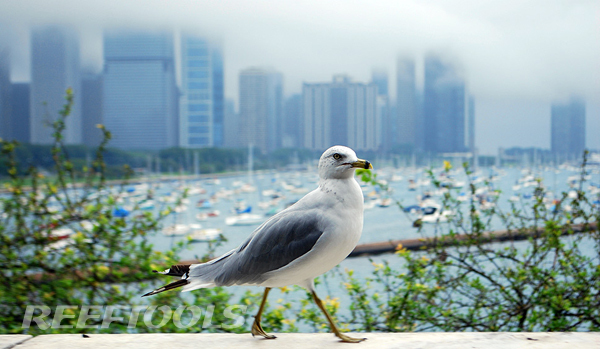 If your little one gets hungry, you’ll find the views from the cafeteria’s outdoor seating area to be almost as beautiful as the wonders inside the building. 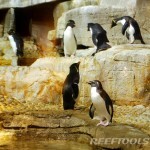 The coldwater exhibits were interesting and well-done. 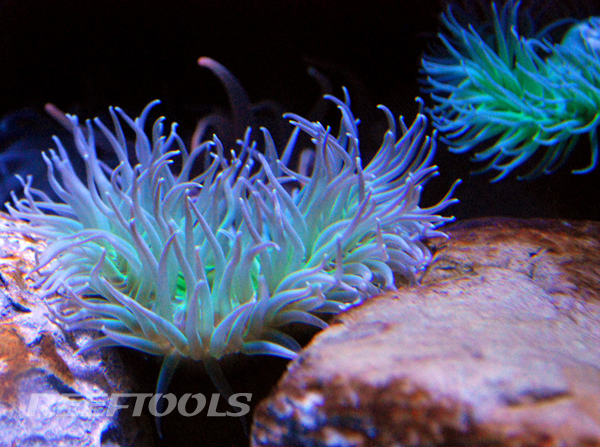 Giant Isopods, jellyfish, and a Pacific Northwest exhibit proved that coldwater creatures can be just as colorful as their tropical cousins. 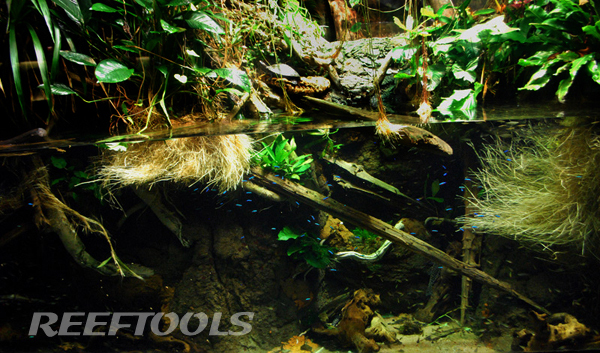 Seeing all the freshwater exhibits wasn’t my top priority, but I did take the time to glance at them. 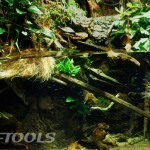 I really enjoyed the Goodeid exhibit and the planted neon tetra tank. 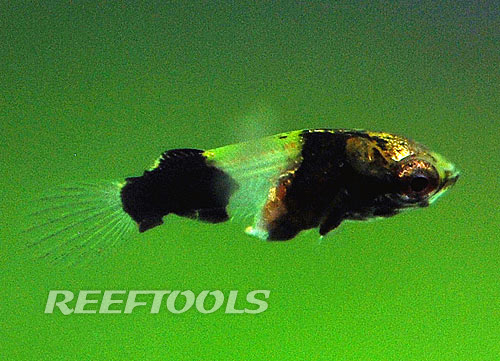 We got to see some of the fish being bred at the Shedd like this tiny Gourami fry. 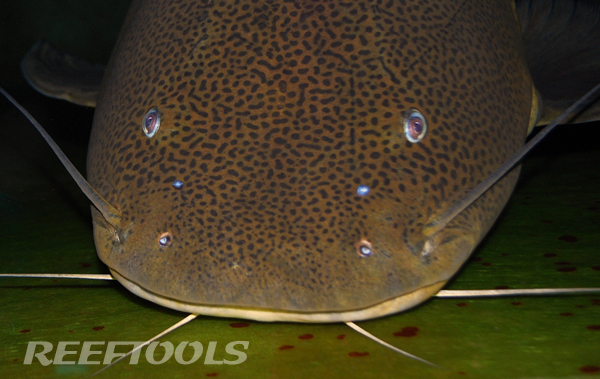 This man-sized Red Tail Catfish came to the surface to greet me; it was so big I could’ve fit both my arms in its mouth with room to spare. 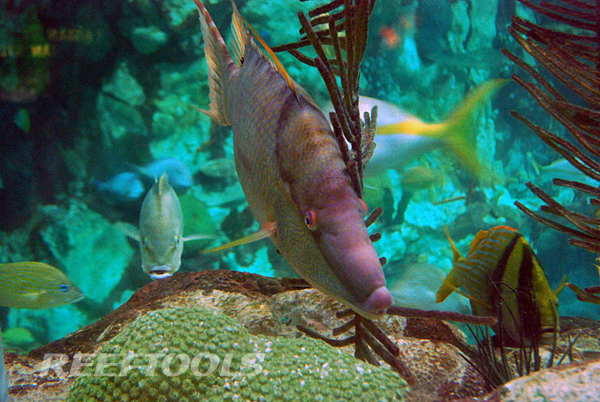 See more photos from my trip on my Flickr Shedd Aquarium set. 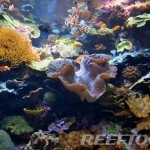 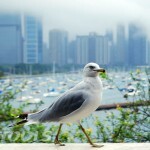 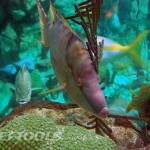 Also check out the Shedd Aquarium Chicago Flickr Group where you can submit your own Shedd Aquarium photos. 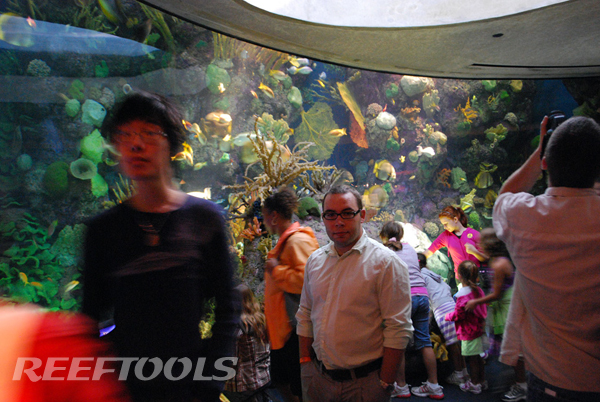 This group is frequented by the Shedd staff and other Shedd Aquarium enthusiasts.